South Africa’s windy city is a place where the locals are ultra friendly, the ocean is always close by – and best of all, there are plenty of great activities and experiences for the whole family to enjoy! As one of South Africa’s premier “safari and holiday” destinations, Shamwari needs little introduction. Chances are, if you have heard of any place close to P-E, it will be this incredible game reserve. Although Shamwari sadly doesn’t offer day game drives, it features exciting experiences, luxurious accommodation and of course, the chance to get up close and personal with Africa’s impressive Big 5. Activities to enjoy when staying at Shamwari include: kids’ safaris, guided walks, game drives and birding. They also offer vital conservation experiences, like the Wildlife Rehabilitation Centre and Born Free Big Cat Sanctuary. 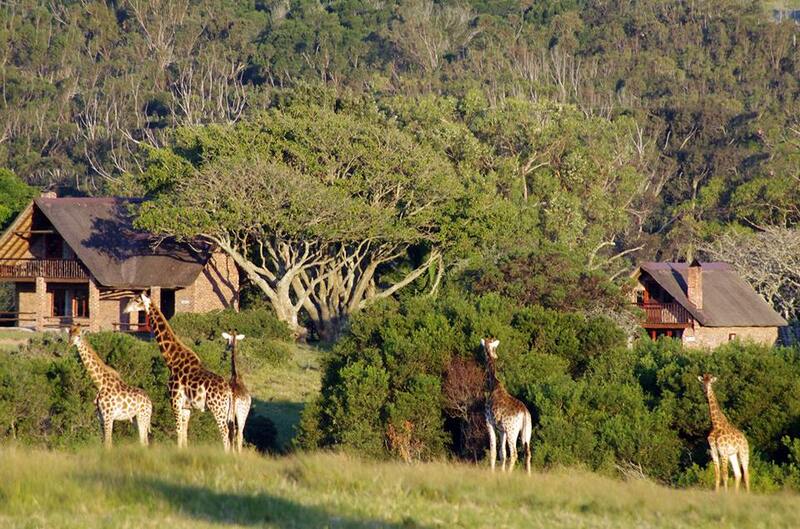 Address: Shamwari Private Game Reserve, Paterson, Eastern Cape, South Africa. At Kragga Kamma, all the wild life roams around freely, unrestricted… This means that whether you stay overnight or simply stop by for the day – you can experience these incredible animals in a truly unique way! Aside from the mandatory game drives, there are cheetah encounters, birding opportunities, a suspension bridge and monkey (forest) walk and more to enjoy. Visit this amazing game park for some life-changing experiences in South Africa’s wild! Port Elizabeth, Eastern Cape, South Africa. Catering to both kiddies and adults, Happy Valley is a magical place to go for a family outing. Highlights at Happy Valley include: a life-sized chess board, lovely rockeries, lily ponds and of course, beautiful surroundings (especially at night when the colourful lights are turned on). Pack a picnic lunch and enjoy some fresh air at this enchanting place! Address: Happy Valley, 50 Beach Road, Summerstrand, Port Elizabeth, Eastern Cape, South Africa. 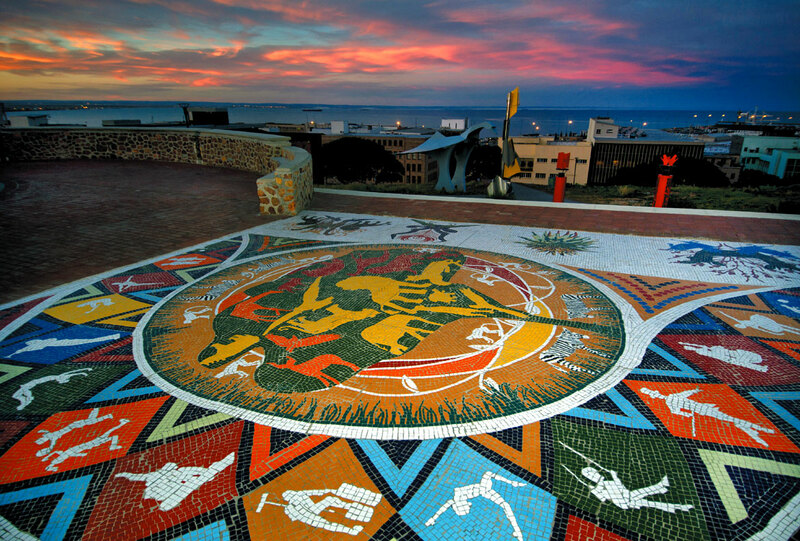 Overlooking the city, Donkin Reserve offers some interesting historical monuments and landmarks. These include the Stone Pyramid monument (which bears a moving inscription from Sir Rufane Donkin, written in loving memory of his late wife, Elizabeth) and proud-looking lighthouse. Aside from these attractions, the reserve – which forms part of the sought-after Route 67 and the Donkin Heritage Trail – is a beautiful and interesting part of the city to explore. Address: The Donkin Reserve, Belmont Terrace, Donkin Street, Port Elizabeth, Eastern Cape, South Africa. This beautiful, 365-hectare reserve offers an escape from everyday city life. Here, one can enjoy some of the best ‘secret’ beaches and views around P-E.
What’s more, the reserve is also home to SANCCOB Port Elizabeth, a rehabilitation centre for marine animals (particularly the adorable African Penguins). For the adventurous, there’s a delightful, 9-km circular walking trail, which allows you to experience pristine beaches, natural dune flora, interesting rocky outcrops and the lighthouse too. All in all, the reserve is a wonderful place to explore and provides some incredible scenery. Please note: There are weekly or annual vehicle permits, while those on foot and non-motorised transport enjoy free entry. 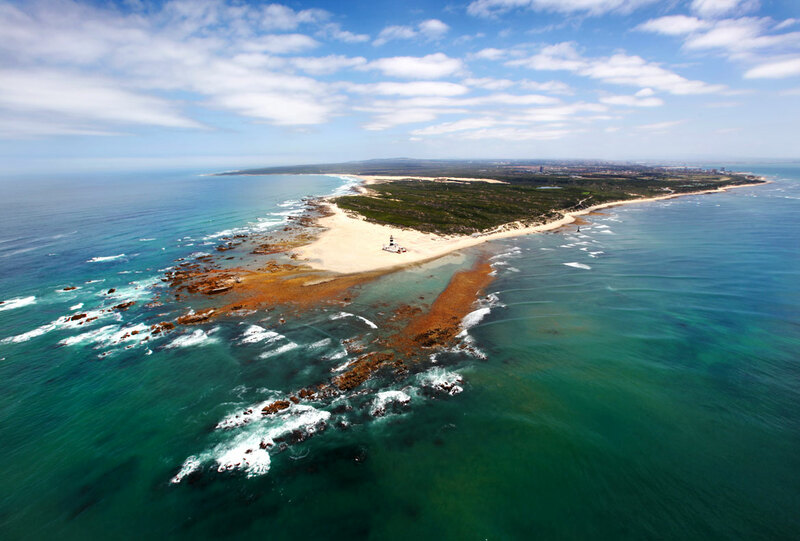 Address: Cape Recife Nature Reserve, Schoenmakerskop, Port Elizabeth, Eastern Cape, South Africa. For those craving a little added fun and excitement, the popular Boardwalk Casino & Entertainment World is the place to go. Offering restaurants and bars, spa treatments, golf, plenty of fun for the kids (including childrens’ rides, a magic company and more) and an amphitheatre, festival lawn area and a cinema to boot… it’s an all-round interesting attraction for everyone! Address: The Boardwalk Casino and Entertainment World, Beach Road, Summerstrand, Port Elizabeth, Eastern Cape, South Africa. Bayworld Oceanarium is a wonderful, educational experience for young and old. The oceanarium is home to several species of fish, Cape gannets, turtles, fur seals and even South Africa’s second largest captive population of African Blackfooted Penguins. At Bayworld Oceanarium, you can meet the marine mammals who live in Algoa Bay… So bring your friends and family along and enjoy an immersive glimpse into local sea life. Please note: For ticket prices and operating hours, please see Bayworld’s website. Address: Bayworld, 23 Beach Road, Humewood, Port Elizabeth, Eastern Cape, South Africa. Splash WaterWorld offers good, clean fun for the whole family. This epic water park offers amazing water slides, a beautiful enclosed grass area on Kings Beach and plenty of food and drink options too. Main attractions include: the Super Tube, Lazy River Ride, Speed Slide and a dedicated Kiddies’ Slide too! Splash WaterWorld is popular among school groups, youth groups and birthday parties… Join them for some fun in the sun – we promise you’ll get to make a splash! Please note: For ticket prices and operating hours, please see Splash WaterWorld’s Facebook page. Address: Splash WaterWorld, Kings Beach, Port Elizabeth, Eastern Cape, South Africa. This insightful route comprises of 67 public art works, symbolising the late Nelson Mandela’s 67 years of service to South Africa. Included among these art works are 67 steps, which lead up to the largest flag in Africa. Route 67 is a historical and cultural celebration, which honours a global icon and one of South Africa’s most influential people of all time. Explore Route 67 from start to finish for an eye-opening and colourful introduction to P-E and South Africa alike. Address: Route 67, 14 St Mary’s Terrace, Port Elizabeth, Eastern Cape, South Africa. As Port Elizabeth’s oldest park, St George’s Park is one of its longest standing attractions. Found within easy walking distance of the city, this delightful park is spread across 73 hectares of gorgeous, wooded parklands. It is filled to the brim with an array of plants, trees and flowers and also encompasses the world-famous P-E cricket ground, South Africa’s oldest bowling green, a swimming pool, Prince Alfred’s Guard Memorial, the Victorian Pearson Conservatory and a great kids’ playground too. The park is one of the city’s finest attractions, so it’s definitely worth enjoying when visiting or residing in P-E. Note: There is also a monthly Art in the Park market, normally held on the last Sunday of the month. These are some of the best things to do in P-E. What’s first on your list?